The 2006 census by Statistics Canada, Canada's Official Statistical office, revealed that the Irish were the 4th largest ethnic group, with 4,354,000 Canadians with full or partial Irish descent or 15% of the country's total population. This was a large and significant increase of 531,495 since the 2001 census, which counted 3,823,000 respondents quoting Irish ethnicity. According to the National Household Survey 2011, the population of Irish ancestry has increased since 2006 to 4,544,870. After the permanent settlement in Newfoundland by Irish in the late 18th and early 19th century, overwhelmingly from Waterford, increased immigration of the Irish elsewhere in Canada began in the decades following the War of 1812 and formed a significant part of The Great Migration of Canada. Between 1825 and 1845, 60% of all immigrants to Canada were Irish; in 1831 alone, some 34,000 arrived in Montreal. Between 1830 and 1850, 624,000 Irish arrived; in contextual terms, at the end of this period, the population of the provinces of Canada was 2.4 million. Besides Upper Canada (Ontario), Lower Canada (Quebec), the Maritime colonies of Nova Scotia, Prince Edward Island and New Brunswick, especially Saint John, were arrival points. Not all remained; many out-migrated to the United States or to Western Canada in the decades that followed. Few returned to Ireland. The great majority of Irish Catholics arrived in Grosse Isle, an island in Quebec in the St. Lawrence River, which housed the immigration reception station. Thousands died or arrived sick and were treated in the hospital (equipped for less than one hundred patients) in the summer of 1847; in fact, many ships that reached Grosse-Île had lost the bulk of their passengers and crew, and much more died in quarantine on or near the island. From Grosse-Île, most survivors were sent to Quebec City and Montreal, where the existing Irish community mushroomed. The orphaned children were adopted into Quebec families and accordingly became Québécois, both linguistically and culturally. At the same time, ships with the starving also docked at Partridge Island, New Brunswick in similarly desperate circumstances. 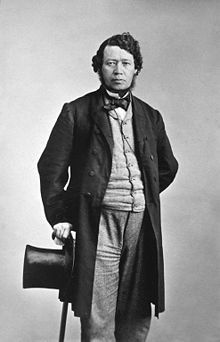 Thomas D'Arcy McGee, an Irish-Montreal journalist, became a Father of Confederation in 1867. An Irish Republican in his early years, he would moderate his view in later years and become a passionate advocate of Confederation. He was instrumental in enshrining educational rights for Catholics as a minority group in the Canadian Constitution. In 1868, he was assassinated in Ottawa. Historians are not sure who the murderer was, or what his motivations were. One theory is that a Fenian, Gaylord O'Neiel Whelan, was the assassin, attacking McGee for his recent anti-Raid statements. Others argue that Whelan was used as a scapegoat. After Confederation, Irish Catholics faced more hostility, especially from Protestant Irish in Ontario, which was under the political sway of the already entrenched anti-Catholic Orange Order. The anthem "The Maple Leaf Forever", written and composed by Scottish immigrant and Orangeman Alexander Muir, reflects the pro-British Ulster loyalism outlook typical of the time with its disdainful view of Irish Republicanism. This only amplified with Fenian Raids of the time. As the Irish became more prosperous and newer groups arrived on Canada's shores, tensions subsided through the remainder the latter part of the 19th century. In the years between 1815, when vast industrial changes began to disrupt the old life-styles in Europe, and Canadian Confederation in 1867, when immigration of that era passed its peak, more than 150,000 immigrants from Ireland flooded into Saint John, New Brunswick. Those who came in the earlier period were largely tradesmen, and many stayed in Saint John, becoming the backbone of its builders. But when the Great Irish Potato Famine raged between 1845 and 1852, huge waves of Famine refugees flooded these shores. It is estimated that between 1845 and 1847, some 30,000 arrived, more people than were living in the city at the time. In 1847, dubbed "Black 47", one of the worst years of the Famine, some 16,000 immigrants, most of them from Ireland, arrived at Partridge Island, the immigration and quarantine station at the mouth of Saint John Harbour. From 1840 to 1860 sectarian violence was rampant in Saint John resulting in some of the worst urban riots in Canadian history. The following statistics are not from the 2006 Census of Canada. Irish established communities in both urban and rural Quebec. Irish immigrants arrived in large numbers in Montreal during the 1840s and were hired as labourers to build the Victoria Bridge, living in a tent city at the foot of the bridge. Here, workers unearthed a mass grave of 6,000 Irish immigrants who had died at nearby Windmill Point in the typhus outbreak of 1847–48. The Irish Commemorative Stone or "Black Rock", as it is commonly known, was erected by bridge workers to commemorate the tragedy. The Irish would go on to settle permanently in the close-knit working-class neighbourhoods of Pointe-Saint-Charles, Griffintown and Goose Village, Montreal. With the help of Quebec's Catholic Church, they would establish their own churches, schools, and hospitals. St. Patrick's Basilica was founded in 1847 and served Montreal's English-speaking Catholics for over a century. Loyola College was founded by the Jesuits to serve Montreal's mostly Irish English-speaking Catholic community in 1896. Saint Mary's Hospital was founded in the 1920s and continues to serve Montreal's present-day English-speaking population. The St. Patrick's Day Parade in Montreal is one of the oldest in North America, dating back to 1824. It annually attracts crowds of over 600,000 people. Today, many Québécois have some Irish ancestry. Examples from political leaders include Brian Mulroney, Laurence Cannon, Daniel Johnson, Claude Ryan, the former Premier Jean Charest, Georges Dor (born Georges-Henri Dore) and former Prime Minister Louis St. Laurent. The Irish constitute the second largest ethnic group in the province after French Canadians. From the times of early European settlement in the 17th and 18th centuries, the Irish had been coming to Ontario, in small numbers and in the service of New France, as missionaries, soldiers, geographers and fur trappers. After the creation of British North America in 1763, Protestant Irish, both Irish Anglicans and Ulster-Scottish Presbyterians, had been migrating over the decades to Upper Canada, some as United Empire Loyalists or directly from Ulster. In the years after the War of 1812, increasing numbers of Irish, a growing proportion of them Catholic, were venturing to Canada to obtain work on projects such as canals, roads, early railroads and in the lumber industry. The labourers were known as ‘navvies’ and built much of the early infrastructure in the province. Settlement schemes offering cheap (or free) land brought over farming families, with many being from Munster (particularly Tipperary and Cork). Peter Robinson organized land settlements of Catholic tenant farmers in the 1820s to areas of rural Eastern Ontario, which helped establish Peterborough as a regional centre. The Irish were instrumental in the building of the Rideau Canal and subsequent settlement along its route. Alongside French-Canadians, thousands of Irish laboured in difficult conditions and terrain. Hundreds, if not thousands, died from malaria. The Great Irish Hunger 1845–1849, had a large impact on Ontario. At its peak in the summer of 1847, boatloads of sick migrants arrived in desperate circumstances on steamers from Quebec to Bytown (soon to be Ottawa), and to ports of call on Lake Ontario, chief amongst them Kingston and Toronto, in addition to many other smaller communities across southern Ontario. Quarantine facilities were hastily constructed to accommodate them. Nurses, doctors, priests, nuns, compatriots, some politicians and ordinary citizens aided them. Thousands died in Ontario that summer alone, mostly from typhus. How permanent a settlement was depended on circumstances. A case in point is Irish immigration to North Hastings County, Canada West, which happened after 1846. Most of the immigrants were attracted to North Hastings by free land grants beginning in 1856. Three Irish settlements were established in North Hastings: Umfraville, Doyle's Corner, and O'Brien Settlement. The Irish were primarily Roman Catholic. Crop failures in 1867 halted the road program near the Irish settlements, and departing settlers afterward outnumbered new arrivals. By 1870, only the successful settlers, most of whom were farmers who raised grazing animals, remained. Toronto had similar numbers of both Irish Protestants and Irish Catholics. Riots or conflicts repeatedly broke out from 1858 to 1878, such as during the annual St. Patrick's Day parade or during various religious processions, which culminated in the Jubilee Riots of 1875. These tensions had increased following the organized but failed Fenian Raids at points along the American border, which arose suspicions by Protestant's of Catholic's sympathies toward the Fenian cause. The Irish population essentially defined the Catholic population in Toronto until 1890, when German and French Catholics were welcomed to the city by the Irish, but the Irish were still 90% of the Catholic population. However, various powerful initiatives such as the foundation of St. Michael's College in 1852 (where Marshall McLuhan held the chair of English until his death in 1980), three hospitals, and the most significant charitable organizations in the city (the Society of St. Vincent de Paul) and House of Providence created by Irish Catholic groups strengthened the Irish identity, transforming the Irish presence in the city into one of influence and power. An economic boom and growth in the years after their arrival allowed many Irish men to obtain steady employment on the rapidly expanding railroad network, settlements developed or expanded along or close to the Grand Trunk Railroad corridor often in rural areas, allowing many to farm the relatively cheap, arable land of southern Ontario. Employment opportunities in the cities, in Toronto but elsewhere, occupations included construction, liquor processing (see Distillery District), Great Lakes shipping, and manufacturing. Women generally entered into domestic service. In more remote areas, employment centred around the Ottawa Valley timber trade which eventually extending into Northern Ontario along with railroad building and mining. There was a strong Irish rural presence in Ontario in comparison to their brethren in the northern US, but they were also numerous in the towns and cities. Later generations of these poorer immigrants were among those who rose to prominence in unions, business, judiciary, the arts and politics. Akenson (1984) argued that the Canadian experience of Irish immigrants is not comparable to the American one. He contended that the numerical dominance of Protestants within the national group and the rural basis of the Irish community negated the formation of urban ghettos and allowed for a relative ease in social mobility. In comparison, the American Irish in the Northeast and Midwest were dominantly Catholic, urban dwelling, and ghettoized. There was however, the existence of Irish-centric ghettos in Toronto (Corktown, Cabbagetown, Trinity Niagara, the Ward) at the fringes of urban development, at least for the first few decades after the famine and in the case of Trefann Court, a holdout against public housing and urban renewal, up to the 1970s. This was also the case in other Canadian cities with significant Irish Catholic populations such as Montreal, Ottawa and Saint John. Likewise the new labour historians believe that the rise of the Knights of Labor caused the Orange and Catholic Irish in Toronto to resolve their generational hatred and set about to form a common working-class culture. This theory presumes that Irish-Catholic culture was of little value, to be rejected with such ease. Nicolson (1985) argues that neither theory is valid. He says that in the ghettos of Toronto the fusion of an Irish peasant culture with traditional Catholism produced a new, urban, ethno-religious vehicle – Irish Tridentine Catholism. This culture spread from the city to the hinterland and, by means of metropolitan linkage, throughout Ontario. Privatism created a closed Irish society, and, while Irish Catholics cooperated in labour organizations for the sake of their families' future, they never shared in the development of a new working-class culture with their old Orange enemies. With Canadian Confederation in 1867, Catholics were granted a separate school board. Through the late 19th and early 20th century, Irish immigration to Ontario continued but a slower pace, much of it family reunification. Out-migration of Irish in Ontario (along with others) occurred during this period following economic downturns, available new land and mining booms in the US or the Canadian West. The reverse is true of those with Irish descent who migrated to Ontario from the Maritimes and Newfoundland seeking work, mostly since World War II. In 1877, a breakthrough in Irish Canadian Protestant-Catholic relations occurred in London, Ontario. This was the founding of the Irish Benevolent Society, a brotherhood of Irishmen and women of both Catholic and Protestant faiths. The society promoted Irish Canadian culture, but it was forbidden for members to speak of Irish politics when meeting. Today, the Society is still operating. Today, the impact of the heavy 19th-century Irish immigration to Ontario is evident as those who report Irish extraction in the province number close to 2 million people or almost half the total Canadians who claim Irish ancestry. In 2004, March 17 was proclaimed "Irish Heritage Day" by the Ontario Legislature in recognition of the immense Irish contribution to the development of the Province. Ontario sustains a network of Irish language enthusiasts, many of whom see the language as part of their ethnic heritage. Ontario is also home to Gaeltacht Bhuan Mheiriceá Thuaidh (the Permanent North American Gaeltacht), an area which hosts cultural activities for Irish speakers and learners and has been recognized by the Irish government. There are many communities in Ontario that are named after places and last names of Ireland, including Ballinafad, Ballyduff, Ballymote, Cavan, Connaught, Connellys, Dalton, Donnybrook, Dublin, Dundalk, Dunnville, Enniskillen, Erinsville, Galway, Hagarty, Irish Lake, Kearney, Keenansville, Kennedys, Killaloe, Killarney, Limerick, Listowel, Lucan, Maguire, Malone, McGarry, Moffat, Mullifarry, Munster, Navan, New Dublin, O'Connell, Oranmore, Quinn Settlement, Ripley, Shamrock, Tara, South Monaghan, Waterford and Westport. Saint John has often been called "Canada's Irish City". In the years between 1815, when vast industrial changes began to disrupt the old life-styles in Europe, and Canadian Confederation in 1867, when immigration of that era passed its peak, more than 150,000 immigrants from Ireland flooded into Saint John. Those who came in the earlier period were largely tradesmen, and many stayed in Saint John, becoming the backbone of its builders. But when the Great Irish Potato Famine raged between 1845 and 1852, huge waves of Famine refugees flooded these shores. It is estimated that between 1845 and 1847, some 30,000 arrived, more people than were living in the city at the time. In 1847, dubbed "Black 47", one of the worst years of the Famine, some 16,000 immigrants, most of them from Ireland, arrived at Partridge Island, the immigration and quarantine station at the mouth of Saint John Harbour. After the partitioning of the British colony of Nova Scotia in 1784 New Brunswick was originally named New Ireland with the capital to be in Saint John. The Miramichi River valley, received a significant Irish immigration in the years before the potato famine. These settlers tended to be better off and better educated than the later arrivals, who came out of desperation. Though coming after the Scottish and the French Acadians, they made their way in this new land, intermarrying with the Catholic Highland Scots, and to a lesser extent, with the Acadians. Some, like Martin Cranney, held elective office and became the natural leaders of their augmented Irish community after the arrival of the famine immigrants. The early Irish came to the Miramichi because it was easy to get to with lumber ships stopping in Ireland before returning to Chatham and Newcastle, and because it provided economic opportunities, especially in the lumber industry. They were commonly Irish speakers, and in the eighteen thirties and eighteen forties there were many Irish-speaking communities along the New Brunswick and Maine frontier. Long a timber-exporting colony, New Brunswick became the destination of thousands of Irish immigrants in the form of refugees fleeing the potato famines during the mid-19th century as the timber cargo vessels provided cheap passage when returning empty to the colony. Quarantine hospitals were located on islands at the mouth of the colony's two major ports, Saint John (Partridge Island) and Chatham-Newcastle (Middle Island), where many would ultimately die. Those who survived settled on marginal agricultural lands in the Miramichi River valley and in the Saint John River and Kennebecasis River valleys. The difficulty of farming these regions, however, saw many Irish immigrant families moving to the colony's major cities within a generation or to Portland, Maine or Boston. Saint John and Chatham, New Brunswick saw large numbers of Irish migrants, changing the nature and character of both municipalities. Today, all of the amalgamated city of Miramichi continues to host a large annual Irish festival. Indeed, Miramichi is one of the most Irish communities in North America, second possibly only to Saint John or Boston. For years, Prince Edward Island had been divided between Irish Catholics and British Protestants (which included Ulster Scots from Northern Ireland). In the latter half of the 20th century, this sectarianism diminished and was ultimately destroyed recently after two events occurred. First, the Catholic and Protestant school boards were merged into one secular institution; second, the practice of electing two MLAs for each provincial riding (one Catholic and one Protestant) was ended. From 1767 through 1810:4 English speaking Irish Protestants were brought to the colony as colonial pioneers to establish the British system of government with its institutions and laws. The Irish-born Captain Walter Patterson was the first Governor of St John's Island from 1769 until he was removed from office by Whitehall in 1787. According to the Dictionary of Canadian Biography, what became known as the century-long "land question", originated with Patterson's failure as administrator of a colony whose lands were owned by a monopoly of British absentee proprietors who demanded rent from their Island tenants. In 1806, The Benevolent Irish Society (BIS) was founded as a philanthropic organization in St. John's, Newfoundland for locals of Irish birth or ancestry, regardless of religious persuasion. The BIS was founded as a charitable, fraternal, middle-class social organization, on the principles of "benevolence and philanthropy", and had as its original objective to provide the necessary skills which would enable the poor to better themselves. Today the society is still active in Newfoundland and is the oldest philanthropic organization in North America. Newfoundland Irish Catholics, mainly from the southeast of Ireland, settled in the cities (mainly St. John's and parts of the surrounding Avalon Peninsula), while British Protestants, mainly from the West Country, settled in small fishing communities. Over time, the Irish Catholics became wealthier than their Protestant neighbours, which gave incentive for Protestant Newfoundlanders to join the Orange Order. In 1903, Sir William Coaker founded the Fisherman's Protective Union in an Orange Hall in Herring Neck. Furthermore, during the term of Commission of Government (1934–1949), the Orange Lodge was one of only a handful of "democratic" organizations that existed in the Dominion of Newfoundland. In 1948, a referendum was held in Newfoundland as to its political future; the Irish Catholics mainly supported a return to independence for Newfoundland as it existed before 1934, while the Protestants mainly supported joining the Canadian Confederation. Newfoundland then joined Canada by a 52–48% margin, and with an influx of Protestants into St. John's after the closure of the east coast cod fishery in the 1990s, the main issues have become one of Rural vs. Urban interests rather than anything ethnic or religious. Along with traditional names, the Irish brought their native tongue. Newfoundland is the only place outside Europe with its own distinctive name in the Irish language, Talamh an Éisc, "the land of fish". Eastern Newfoundland was one of the few places outside Ireland where the Irish language was spoken by a majority of the population as their primary language. Newfoundland Irish was of Munster derivation and was still in use by older people into the first half of the twentieth century. It has influenced Newfoundland English both lexically (in words like angishore and sleveen) and grammatically (the after past-tense construction, for instance). The family names, the features and colouring, the predominant Catholic religion, the prevalence of Irish music – even the dialect and accent of the people – are so reminiscent of rural Ireland that Irish author Tim Pat Coogan has described Newfoundland as "the most Irish place in the world outside of Ireland". The United Irish Uprising occurred during April 1800, in St. John's, Newfoundland where up to 400 Irishmen had taken the secret oath of the Society of the United Irishmen. The Colony of Newfoundland rebellion was the only one to occur which the British administration linked directly to the Irish Rebellion of 1798. The uprising in St. John's was significant in that it was the first occasion on which the Irish in Newfoundland deliberately challenged the authority of the state, and because the British feared that it might not be the last. It earned for Newfoundland a reputation as a Transatlantic Tipperary–a far-flung but semi-Irish colony with the potential for political chaos. Seven Irishman were hung by the crown because of the uprising. Many Nova Scotians who claim Irish ancestry are of Presbyterian Ulster-Scottish descent. William Sommerville (1800–1878) was ordained in the Irish Reformed Presbyterian Church and in 1831 was sent as a missionary to New Brunswick. There, with missionary Alexander Clarke, he formed the Reformed Presbytery of New Brunswick and Nova Scotia in 1832 before becoming minister of the West Cornwallis congregation in Grafton, Nova Scotia, in 1833. Although a strict Covenanter, Sommerville initially ministered to Presbyterians generally over a very extensive district. Presbyterian centres included Colchester County, Nova Scotia. There were also rural Irish village settlements throughout most of Guysborough County, such as the Erinville (meaning Irishville) /Salmon River Lake/Ogden/Bantry district (Bantry being named after Bantry Bay, County Cork, Ireland but abandoned since the 19th century for better farmland in places like Erinville/Salmon River Lake). In this area Irish last names are prevalent and an Irish influence is apparent in the accent, the traditional music of the area, food, religion (Roman Catholic) and lingering traces of the Irish language. In Antigonish County there are other villages of Irish provenance, and still others can be found on Cape Breton Island, in places such as New Waterford, Rocky Bay and Glace Bay. Irish migration to the Prairie Provinces had two distinct components: those who came via eastern Canada or the United States, and those who came directly from Ireland. Many of the Irish-Canadians who came west were fairly well assimilated, in that they spoke English and understood British customs and law, and tended to be regarded as a part of English Canada. However, this picture was complicated by the religious division. Many of the original "English" Canadian settlers in the Red River Colony were fervent Irish Loyalist Protestants, and members of the Orange Order. They clashed with Catholic Metis leader Louis Riel's provisional government during the Red River Rebellion, and as a result Thomas Scott was executed, inflaming sectarian tensions in the east. At this time and during the course of the following decades, many of the Catholic Irish were fighting for separate Catholic schools in the west, but sometimes clashed with the Francophone element of the Catholic community during the Manitoba Schools Question. After World War I and the de facto resolution of the religious schools issue, any eastern Irish-Canadians moving west blended in totally with the majority society. The small group of Irish-born who arrived in the second half of the 20th century tended to be urban professionals, a stark contrast to the agrarian pioneers who had come before. In New Brunswick, from 1840 to the 1860s sectarian violence was rampant in Saint John resulting in some of the worst urban riots in Canadian history. The city was shaped by Irish ghettos at York Point, and suppression of poor, Irish-speaking peoples rights lead to decades of turmoil. The division would continue to shape Saint John in years to come. The Orange Order, with its two main tenets, anti-Catholicism and loyalty to Britain, flourished in Ontario. Largely coincident with Protestant Irish settlement, its role pervaded the political, social and community as well as religious lives of its followers. Spatially, Orange lodges were founded as Irish Protestant settlement spread north and west from its original focus on the Lake Ontario plain. Although the number of active members, and thus their influence, may have been overestimated, the Orange influence was considerable and comparable to the Catholic influence in Quebec. In Montreal in 1853, the Orange Order organized speeches by the fiercely anti-Catholic and anti-Irish former priest Alessandro Gavazzi, resulting in a violent confrontation between the Irish and the Scots. St. Patrick's Day processions in Toronto were often disrupted by tensions, that boiled over to the extent that the parade was cancelled permanently by the mayor in 1878 and not re-instituted until 110 years later in 1988. The Jubilee Riots of 1875 jarred Toronto in a time when sectarian tensions ran at their highest. Irish Catholics in Toronto were an embattled minority among a Protestant population that included a large Irish Protestant contingent strongly committed to the Orange Order. ^ a b "Ethnocultural Portrait of Canada - Data table". 2.statcan.ca. 2010-10-06. Retrieved 2011-01-28. ^ "Ethno-Cultural Portrait of Canada, Table 1". 2.statcan.ca. Retrieved 2011-01-28. ^ "National Household Survey (NHS) Profile, Canada, 2011". www12.statcan.gc.ca. National Household Survey. April 2, 2014. Archived from the original on April 2, 2014. Retrieved April 7, 2014. ^ "J.A. Gallagher, "The Irish Immigration of 1847"". Umanitoba.ca. Retrieved 2011-01-28. ^ David A. Wilson (2011). Thomas D'Arcy McGee: The Extreme Moderate, 1857–1868. MQUP. pp. 381–83. ISBN 9780773586451. ^ "Migration, Arrival, and Settlement before the Great Famine | Multicultural Canada". Multiculturalcanada.ca. Archived from the original on 2010-12-31. Retrieved 2011-01-28. ^ Watson, Ken. "Rideau Canal Waterway - Memorials". Retrieved July 26, 2011. ^ a b Galvin, Martin A. (1959). "The Jubilee Riots in Toronto, 1875" (PDF). CCHA Report. 26: 93–107. Retrieved September 8, 2018. ^ a b c Winder, Gordon M. (2000). "Trouble in the North End: The Geography of Social Violence in Saint John 1840-1860". Acadiensis. XXIX (2 Spring): 27. ^ Giles, Jonathan. "The Call of the Wild Geese: An Ethnography of Diasporic Irish Language Revitalization in Southern and Eastern Ontario". Ir.lib.uwo.ca. Retrieved 2017-08-20. ^ "Saint John St. Patrick's Society clings to men-only tradition". CBC New Brunswick. ^ "Culture - The Irish Language in New Brunswick - ICCANB". Newirelandnb.ca. Retrieved 20 August 2017. ^ a b c d e f g O’Grady, Brendan (August 17, 2004). Exiles and Islanders: The Irish Settlers of Prince Edward Island. Studies in Ethnic History. McGill-Queen's University Press. p. 360. ISBN 978-0773527683. Retrieved September 7, 2018. ^ a b Campbell, Marlene (nd). "Early Immigration – Prince Edward Island" (PDF). Wyatt Heritage Properties. Summerside, PEI. Retrieved September 7, 2018. With some funding from the Community Museums Association of Prince Edward Island’s Museum Development Grant. ^ a b Baglole, Harry (1979). "Patterson, Walter". In Halpenny, Francess G (ed.). Dictionary of Canadian Biography. IV (1771–1800) (online ed.). University of Toronto and Université Laval. ^ "Ethnic origins, 2006 counts – Newfoundland and Labrador". Statistics Canada. 2008-04-02. Retrieved 1 January 2013. Clarke, B. P. Piety and Nationalism: Lay Voluntary Associations and the Creation of an Irish-Catholic Community in Toronto 1850–1895 (1993). Jenkins, W. "Between the Lodge and the Meeting-House: Mapping Irish Protestant Identities and Social Worlds in late Victorian Toronto," Social and Cultural Geography (2003) 4:75-98. Jenkins, W. "Patrolmen and Peelers: Immigration, Urban Culture, and the 'Irish Police' in Canada and the United States," Canadian Journal of Irish Studies 28, no, 2 and 29, no, 1 (2002/03): 10-29. Wikimedia Commons has media related to Canadians of Irish descent.